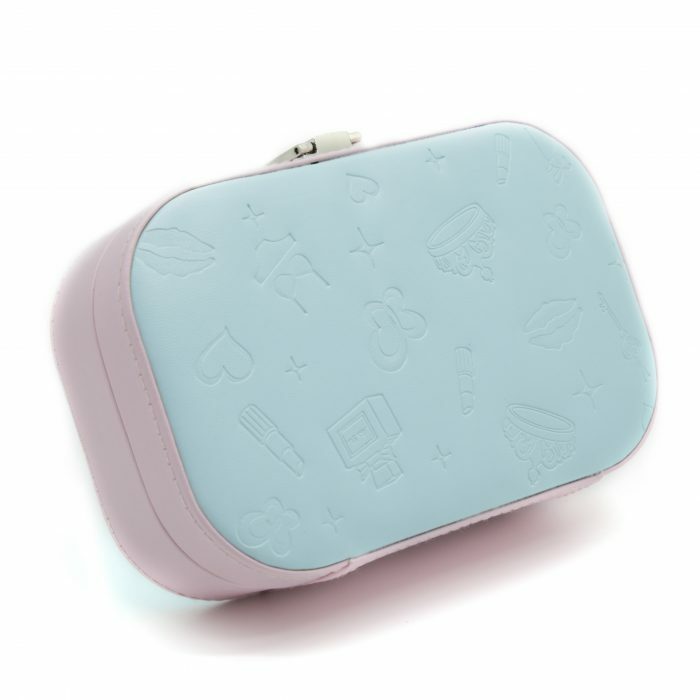 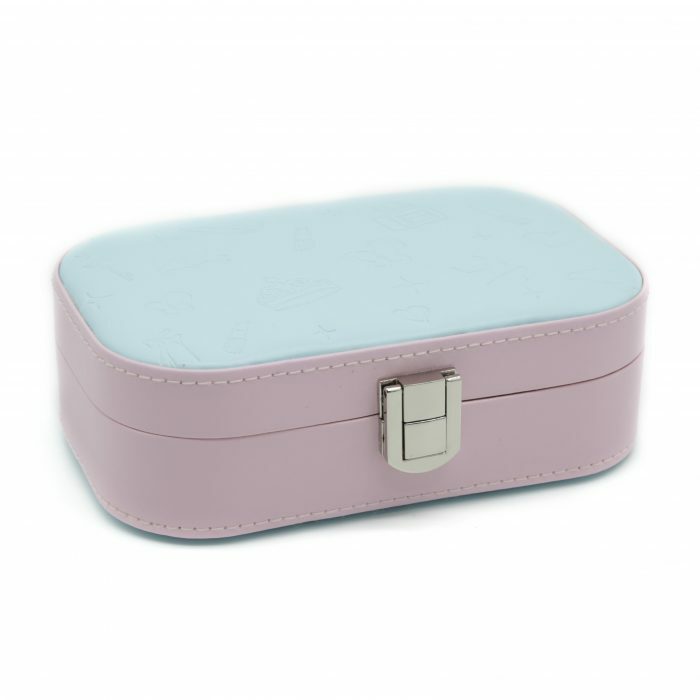 This Aqua Blue Patterned Jewellery Box is small enough to store your valuables and travel easily but big enough to carry all of your desired jewellery. 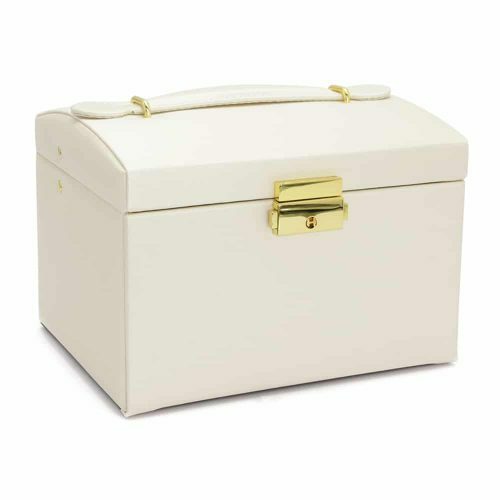 This box has a beautiful and fun design on the golf PU leather and has cream velvet lining the interior. 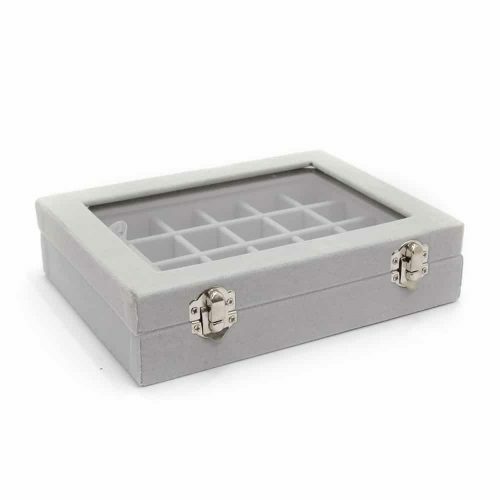 It has a silver latch to ensure everything stays secure and safe. 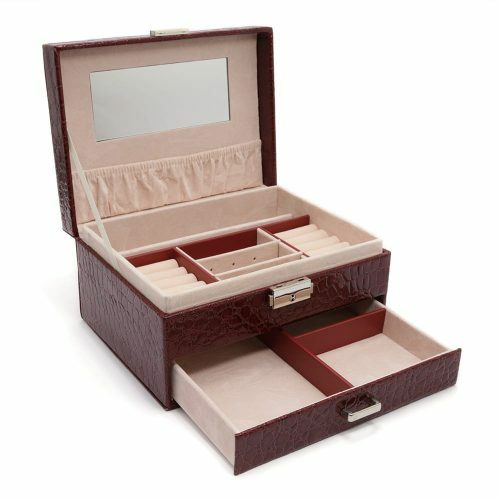 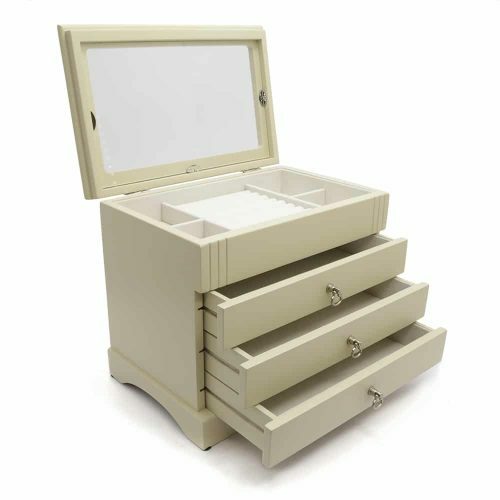 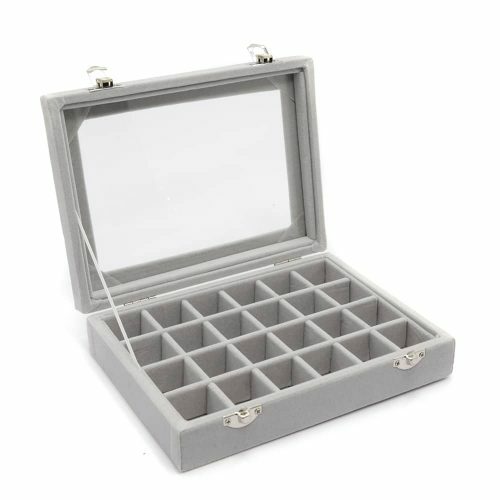 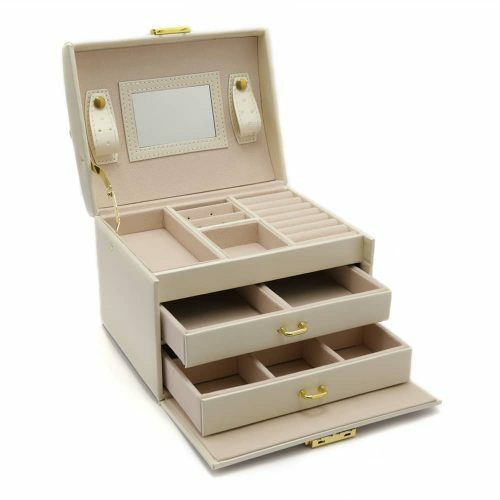 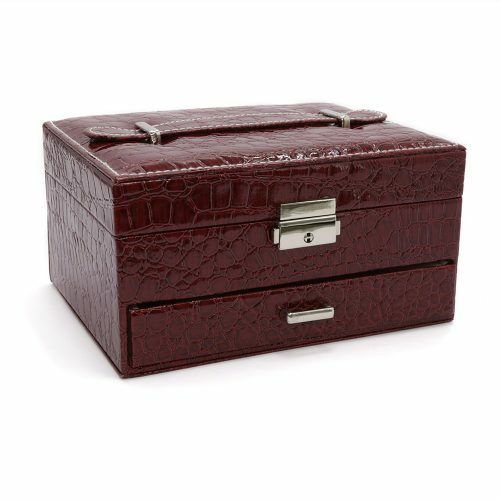 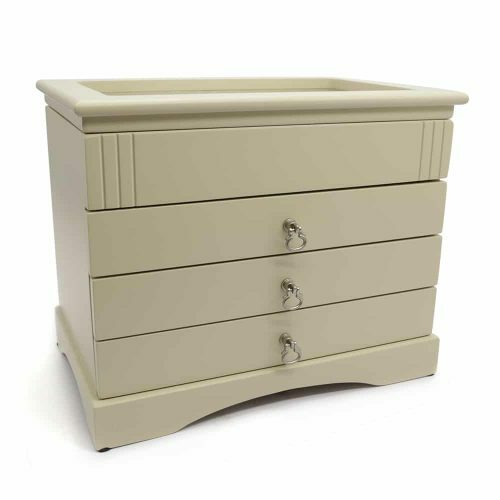 When opened it has a large mirror, to the left, ring cushions and a large compartment for your jewellery. 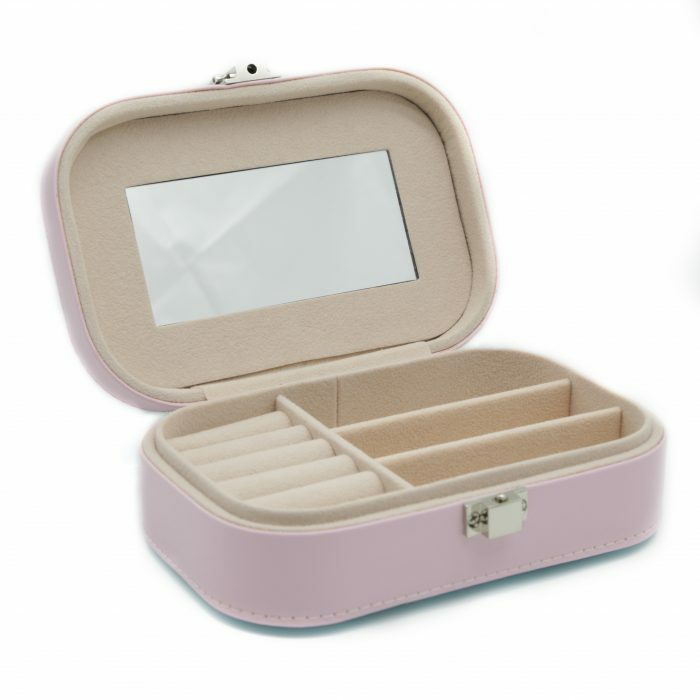 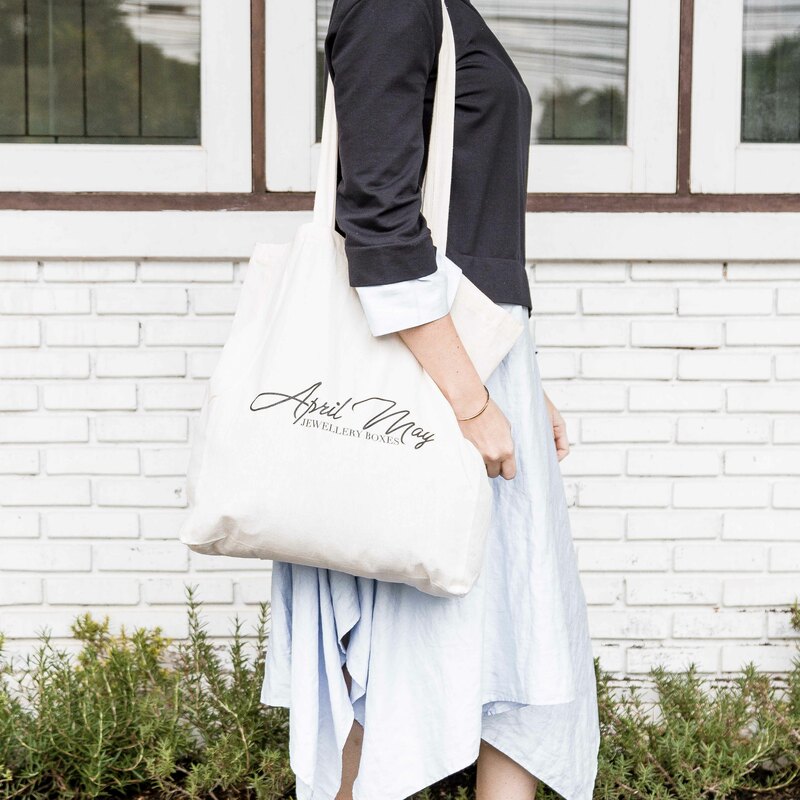 A convenient way to travel or a perfect gift!